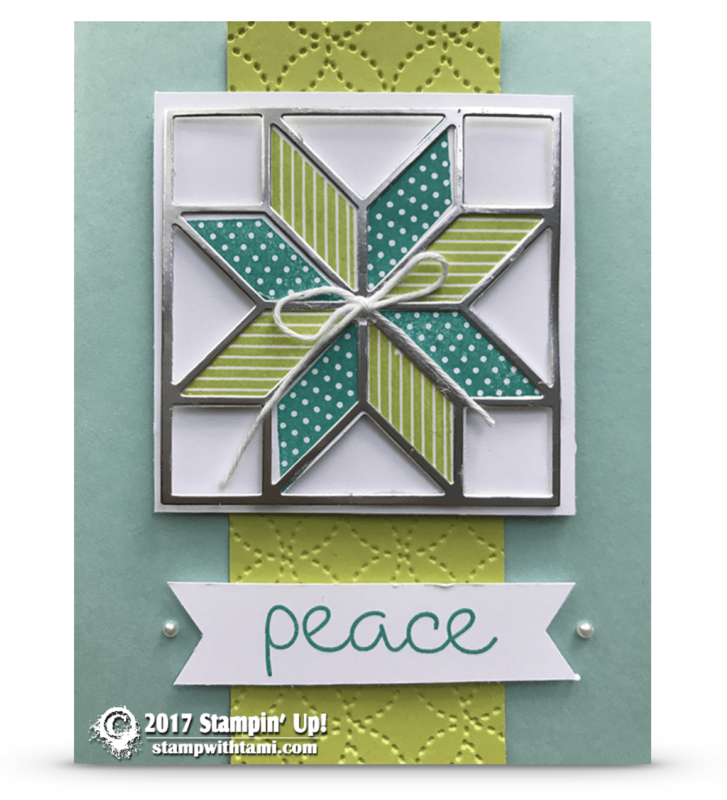 The Stampin Up Christmas Quilt Bundle is a very popular new suite of products in the Holiday Catalog. It’s really fun, and easy to work with. On today’s online class I’ll be sharing how to make this beautiful card, imcluding how to line up the stamps easily (learn from my mistakes). As well as a few more ideas featuring the bundle. More details on the bundle are below. See more Holiday Catalog sneak peeks here. If you missed the live broadcast, you can catch the replay below (or on my Facebook & Youtube). Download the free pdf below, for measurements and the supplies list. This video will air live on my Facebook Page. Be sure to subscribe for future live videos. Online VIP Club: Learn techniques & exclusive videos, written directions, and bonus card tutorials and free stamps. This is a video comment entry giveaway. To enter, simply leave a comment on this video on either YouTube or Facebook. No purchase necessary. I host a live broadcast on Facebook for free, online, how-to stamp/craft classes. I’ll show you how to create fun, and easy, paper crafting cards and projects. You can follow along live, or watch the replay later. I will do a prize patrol at the end of each broadcast for the live participants. You will find the free pdf, video and resources for all of my past classes here. In addition, I co-host The Stampin Scoop Show, and I release weekly how-to videos for DIY card-making and crafting. Wonderful. I will be buying this set. Thanks for showing it’s versatility. Shared. Love your videos! You are creative, inspiring and have a ton of grit! Sorry not able to do live but did see after live and your cards are beautiful, and love all the fun things that happened but were fixable—-LOL thanks for sharing. Love the quilt stamp and dies! Beautiful card. My Mom was a quilter so I have great memories. Quilted Christmas is great and loved the cards that were made with it. Glad that I’m not the only one that messes up and thanks for showing that as it makes me feel better and did give us a great tip about alignment. Keep up the good work! Tammy just love your work. Tammy just love your card. I just love your videos, you are inspiring, and I always want to stamp when I am done watching. Great card! I want this bundle now that I’ve seen it demonstrated! Shared! I guess I missed the drawing for this stamp set! Don’t know how I did that! Darn! !